Holiday in Lights organizers (The Alleen Company) provides opportunity for local Cincinnati non-profit to help feed hungry and vulnerable children, locally and around the world! For the past 6 years, Hands Against Hunger™ volunteers (a program of A Child’s Hope Intl™) have welcomed visitors to the mile-long Holiday in Lights spectacular with a smile while wearing crazy holiday hats, and giving away over 250,000 candy canes and several hundred dog biscuits. Most importantly, visitors have very generously made donations exceeding $95,000, providing enough funding to help provide life-saving meals to feed over 400,000 children! 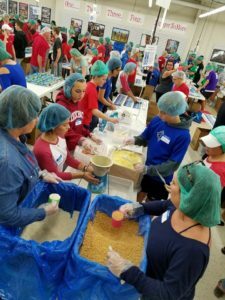 Hands Against Hunger™ is a unique family-friendly program where people of all ages assemble critically-needed food for hungry children and families. In the past 10 years, over 50,000 volunteers have produced nearly 30 million high protein meals requiring 2,000 tons of ingredients. “America cares for those hurting around the world and for those at home. One of the things that makes America great is the amount of money, help and resources we provide to orphans and vulnerable children around the world who suffer from war, pestilence, drought and famine”, says Lawrence Bergeron, Executive Director of A Child’s Hope International™. 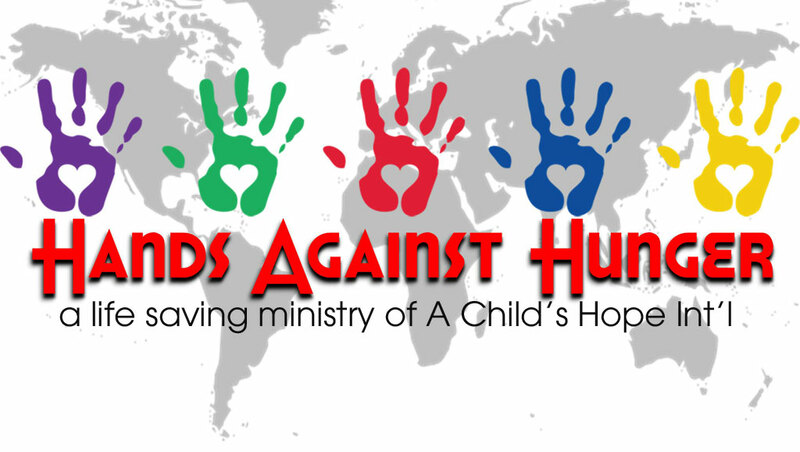 Bergeron continues, “Our Hands Against Hunger™ high protein food packets are delivered to food pantries in the greater Cincinnati area, Appalachia, and many parts of the world where children go days without any food or water. This remarkable program can feed a hungry child for just 25 cents a day. In fact, one volunteer working for just two hours can produce enough high protein food to feed one child for an entire year”. Hands Against Hunger™ generally schedules packing sessions on Saturday mornings, open to the public, at the “Hope Factory (2430 E. Kemper Rd, Cincinnati, Ohio 45241). 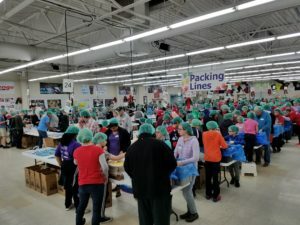 To register for a packing session and learn more about Hands Against Hunger™ please go to their web-site at www.TheChildrenAreWaiting.org or call the Hope Factory™ at 513-771-2244 to register by phone. Click here to register for the Holiday in Lights 5K and contribute to Hands Against Hunger! Get Creative With Your Table Top Design! We’ll do the Planning, YOU do the Entertaining! Gearing Up For Festival Season!